The International Baccalaureate Diploma Programme is a broad-based, two-year (11 and 12) upper school course that offers students an alternative to WACE as a pathway to university studies. Students study six subjects and three core components. Three subjects must be studied at a Higher Level and three subjects at a Standard Level. Additionally, students are required to complete the three core components: Extended Essay, Theory of Knowledge, and Creativity Action and Service. It aims to encourage students to be knowledgeable and inquiring learners with an emphasis on developing intercultural understanding and open-mindedness. Students will select six subjects; one from each of the six subject groups. Students studying the subject at a Higher Level (HL) and Standard Level (SL) are placed in the same class because HL and SL students have common units of work. However, HL students are required to complete additional units of work. Teachers dismiss SL students from classes when they are delivering a HL unit. SL students work independently in the Library on other course work and then return to class for common units of study. Students are timetabled to study HL subjects for 240 hours and SL subjects for 150 hours over the two years. Additionally, students receive 100 hours of instruction time in classes for Theory of Knowledge and they have the same teacher over the two years of the programme for each subject. What curriculum does the DP follow? The International Baccalaureate produces the Curriculum that is to be delivered in the Diploma Programme. They do this by working with teachers from around the world to make sure the content is rigorous and stimulating. How does technology support learning in the DP? All course outlines and unit plans are available to parents and students on-line through Connect. Assessments and due dates are outlined from the beginning which enables students to plan an effective study programme and work systematically towards deadlines. Additionally, the College uses Managebac which enables students to upload drafts of Internal Assessments, receive feedback from teachers and then re-submit final responses that are directly uploaded to the IBO. Through the Library website, students have access to past examination papers, the latest details regarding university requirements, tips on effective study habits, and a range of resources for all subjects. Scotch College has also provided students with an on-line resource, Kognity, which provides them with a variety of activities and resources for Diploma subjects; this has proven to be excellent preparation for examinations. How are the Approaches to Learning taught in the DP? The Approaches to Learning inform the pedagogy of the Diploma Programme and are written into the Unit Plans of all subjects. Through Approaches to Learning, students develop skills that have relevance across all areas of learning which help them “learn how to learn”. They provide a solid foundation for learning independently and with others. Approaches to Learning help students prepare for, and demonstrate learning through, meaningful assessment. They provide a common language for students to reflect on and articulate how they are learning, preparing students for success in their studies and life beyond school. Developing students’ ATL skills is about more than simply developing their cognitive skills; it is also about developing affective and metacognitive skills, and encouraging students to view learning as something that they “do for themselves in a proactive way, rather than as a covert event that happens to them in reaction to teaching”. In the DP, these cognitive, metacognitive and affective skills are grouped into five categories: Thinking Skills, Communications Skills, Social Skills, Self-management Skills and Research Skills. Teachers target these skills across a range of activities throughout the programme. Students who actively participate in this process work are the most successful in the Diploma Programme as Internal Assessments and examinations are designed to reward students who are able to evaluate theories, concepts and arguments, work collaboratively, analyse critically and communicate effectively in a range of oral and written contexts. How can I support my son in the DP? Encourage him to understand the value of working consistently and maintaining a regular study programme. There are numerous tips from successful past-graduates that are available through the library website; encourage your son to view these on a regular basis and learn from students who have successfully negotiated the challenges of the DP. Encourage him to work closely with his teachers and to be attentive to their instructions and feedback on assessed work. Success in this rigorous course requires a balanced approach to life; encourage your son to participate in physical exercise, eat sensibly and ensure that he gets enough sleep. Help him to understand that the most successful students in the DP have had the courage to face up to their failures and learn from their mistakes. The most important way parents can assist their sons is to ensure that they choose subjects that suit them; especially in the Higher Level subjects. What languages does the school offer in the DP? We offer French, Indonesian and Spanish ab initio SL. Ab initio means ‘from the beginning’, meaning students need no experience in Spanish language learning to start this course. Students are also able to study Mandarin ab initio SL through the IB approved on-line provider, Pamoja. What is the extended essay (EE)? The Extended Essay is a 4000-word academic investigation on a topic developed from the list of available Diploma Programme subjects studied by the student. It is intended to promote academic research and effective writing skills. It provides students with an opportunity to engage in personal research in a topic of their own choice but under the guidance of a subject specialist (an appropriately qualified Scotch College teacher). This leads to a major piece of formally presented, structured writing, in which ideas and findings are communicated in a reasoned and coherent manner, appropriate to the subject chosen. TOK is a course about critical thinking and inquiring into the process of knowing, rather than about learning a specific body of knowledge. The TOK course examines how we know what we claim to know. It does this by encouraging students to analyse knowledge claims and explore knowledge questions. While there are arguably many “Ways of Knowing”, the TOK course identifies eight specific “Ways of Knowing”: language, sense perception, emotion, reason, imagination, faith, intuition, and memory. Students apply these ways of knowing to the eight “Areas of Knowledge”: mathematics, the natural sciences, the human sciences, the arts, history, ethics, religious knowledge systems, and indigenous knowledge systems. What is Creativity, Activity and Service (CAS) in the DP? CAS complements a challenging academic programme in a holistic way, providing opportunities for self-determination, collaboration, accomplishment and enjoyment. The CAS programme formally begins at the start of the Diploma Programme and continues regularly, ideally on a weekly basis, for at least 18 months with a reasonable balance between creativity, activity, and service. All CAS students are expected to maintain and complete a CAS portfolio as evidence of their engagement. The CAS portfolio is a collection of evidence that showcases CAS experiences and for student reflections. 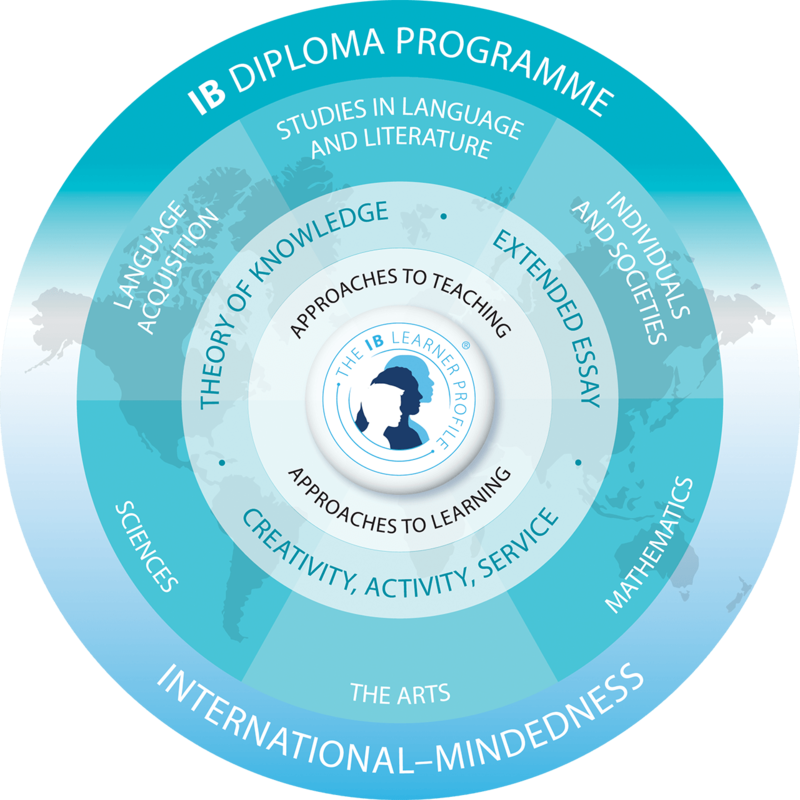 While not formally assessed, successful completion of CAS is a requirement for the award of the IB Diploma. How will my son be assessed in the DP? In each subject, students complete Internal Assessments and sit an examination; these marks combine to provide a final mark out of 100. This mark is then converted to a numerical grade ranging from 1-7; the highest is a Grade 7. The six subjects combine to provide a total score out of 42 points. In the core components, students must complete a 4000-word Extended Essay (EE) on a topic of their choosing; write a Theory of Knowledge (TOK) essay and complete an oral presentation. Students are also required to complete a series of activities to satisfy the Creativity, Activity and Service (CAS) component. The EE and TOK essays are completed at school but marked overseas by IBO examiners. Theory of Knowledge and the Extended Essay provide students with an opportunity to earn three bonus points which is added to their subject scores. Thus, the highest score in the DP is 45 points: 42 points from six subjects plus three bonus points from EE and TOK. 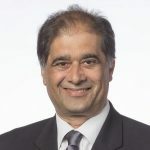 Do Australian Universities recognise the DP? All Australian universities accept Diploma graduates. Some apply the ATAR Conversion Table which converts Diploma points to an ATAR score. Others offer direct entry pathways to university courses based solely on their Diploma score (UWA) or offer credits for certain courses (Curtin University). Where can I find out more information about the IB admissions policies from UWA? How can I find out more about the DP?